If you love cosmetics, the beauty industry may be your calling. Despite what others think a job in beauty is a real job and it can make you a heck of a lot of cash. There are many career options and they don’t all require you to be hands on. Most beauty schools offer an esthetics program which is entirely separate from cosmetology. Instead of hair, skin, and nails, those who study esthiology will only focus on skin. Training is very in depth, including anatomy, chemistry and disorders and diseases of the skin. To complete an esthiology course, you must complete a certain amount of hours (250-1200 hours) and these differ depending on where you reside. Some states offer different types of esthetics licenses that extend even further than normal state requirements. With these, you can perform more procedures and some allow you to work in a medical setting. Once hours have completed your hours, a test must be taken to assess what you’ve learned. Some states may require a hands-on test in addition to written one, so be sure to know your state regulations. Estheticians are the ones in the spa who perform facial and waxing services. A facial is like having a deep cleansing at the dentist, only on the face. Those who decide to perform facials have the power to help women look younger and fight disorders like acne or eczema. In most states, estheticians are also allowed to use electricity such as lasers and facial toning devices during services, but some require a separate license. If you are a registered nurse, you can perform these beauty services in a medical setting without practising esthetics. Hair removal is another service estheticians can provide. Waxing, threading, and sugaring are a few methods that can be used. Estheticians do not use razors – that is a service provided by a barber. A career in makeup artistry is by far one of the most creative in the beauty biz. Making a living beautifying women for some of their fondest memories sounds fantastic, but how do you get there? Becoming a makeup artist does not require a license, but some salon settings may require it for liability reasons. A makeup artist is allowed to do any and all makeup looks but again, some states are against applying lashes or eyeliner in the water line for those without proper training, so due diligence is advisable. Makeup schools are also an option, but they are not necessary. If you are a growing artist looking to learn new techniques, it is smart to attend a makeup school, but if you’ve surpassed being a novice, this is not required. With websites like Pinterest and YouTube you also have the option to save a ton of money by learning techniques from fellow artists. A makeup artist can work for themselves or a company. If you work for a company, you will most likely start at a counter or beauty superstore, but things will be more about sales than artistry. Depending on the company you work for there is room for education and growth. Some brands have national teams that travel doing makeup for photo shoots and special events. Freelancing means making your own schedule and solely doing makeup, but it also means finding your own clients. With modern technology, it is relatively easy to promote over the internet and build a solid brand. A cosmetologist is someone who loves all things beauty. Hair, skin, and nails are taught in cosmetology school although for many schools the primary focus will be hair. Cosmetology is also arranged in hours and states can require anywhere from 100-2500 hours. Once hours are completed, a written and possibly hands-on test must be taken. Once a license is obtained, you are able to get almost any position in a salon/spa you desire, including management. Hairstyling is the technique that requires the most training. Unfortunately, states don’t have a license just for hair so you’ll also have to learn about skin and nails. If you feel like you would like to offer both skin and hair services, you can do both with cosmetology training, but you will not have the knowledge of an esthetician. Many who are interested in both subjects go through both programs. If you have a desire to become a nail technician you have the option of going to a separate school that focuses more in-depth on nail services. Some cosmetology schools won’t teach services like artificial nail or nail art which are huge in the nail industry. Doing nails doesn’t have to stop in the salon – nail techs also work on sets of movies and magazines! If you love beauty but don’t have a desire to be hands-on, there are other things you can do! Do you love to read the hottest blogs for tips and trends? Now you can be the one to provide them! Those who love to give beauty advice or learn about new things in the industry, you may want to consider writing. Beauty blogs are always looking for the next go-to person in the industry and since you spend all day talking about beauty you should at least get paid for it! Writers sometimes also have the honor of appearing on television or radio to give advice. Writers also have very strong connections with beauty brands. They may get to try free products in exchange for a promotion or review. Found a brand you’re in love with? Work for them! Cosmetic brands have so many positions that allow you to enjoy the industry without going through a program. Formal education may be required for some positions. • Brand trainer- Inform clients about the brand. • Account executive- Manage a team of salespeople and makeup artist to reach a target goal. • Freelancer- sales/makeup artist for the brand. • Creative director- Give your input on products and marketing. For those who don’t live and breathe beauty but want it to be a part of their lives, try working in a salon setting. Salon employees are usually offered free products, services and are welcome to brand training days. Salaries vary depending on what type of work you do. Most people in the industry will get paid anywhere between minimum wage (housekeeping, receptionist) to around $70,000 per year (creative director. If you perform beauty services, you can get paid hourly, by a commission or a combination of both. Service providers make an average of about $30,000 per year, but this is only true for those who decide to stay in a salon setting. 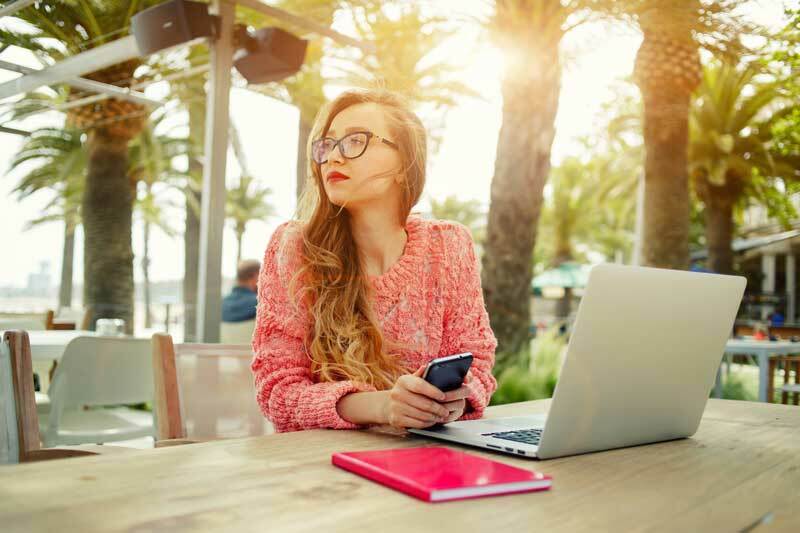 Why go through life with a job that is less than satisfactory? 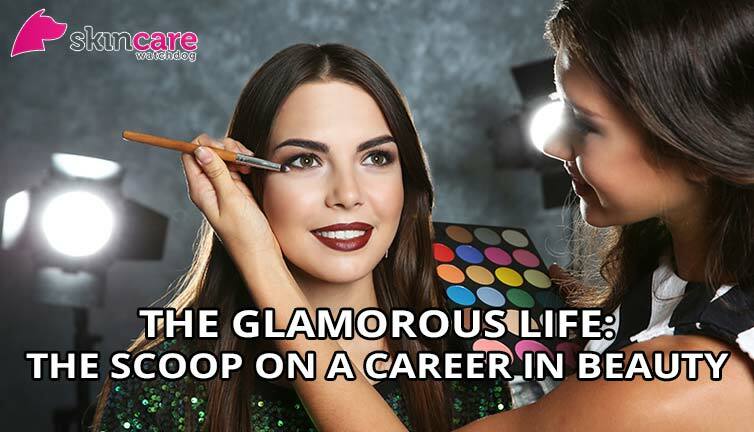 Do something you love and find a career in the beauty industry!